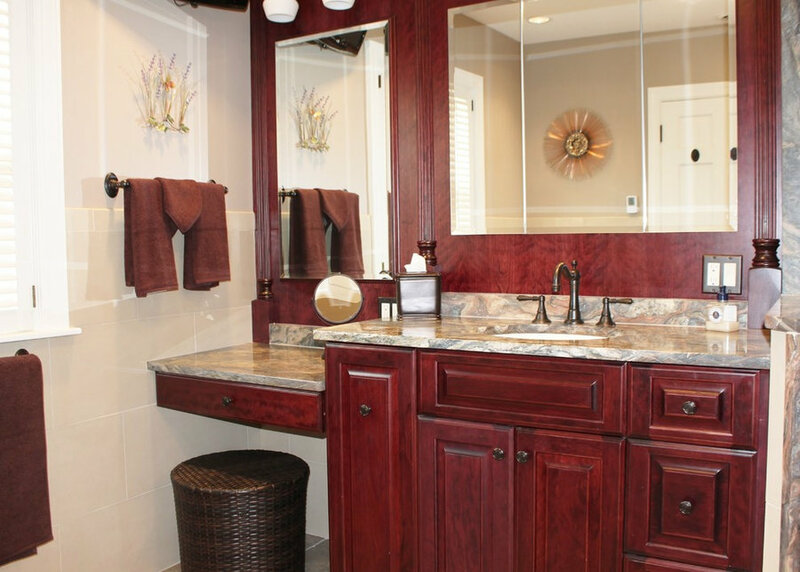 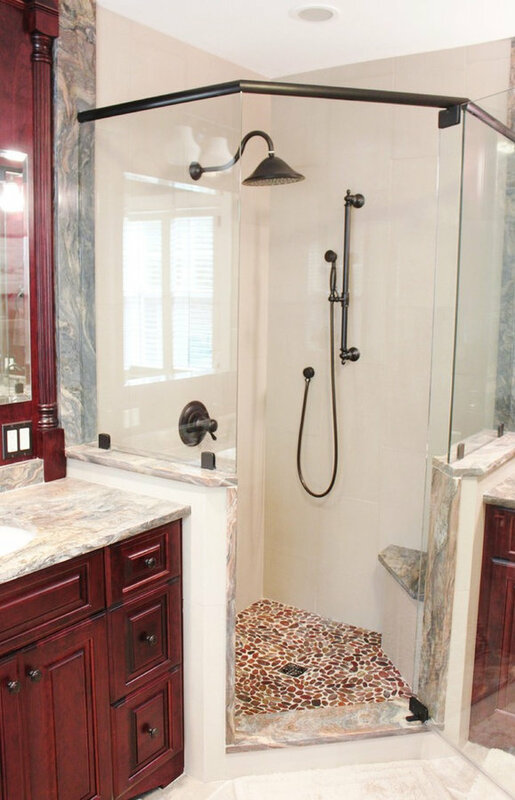 This master bathroom was designed by a collaboration of designers at Baldwin Kitchen & Bath. 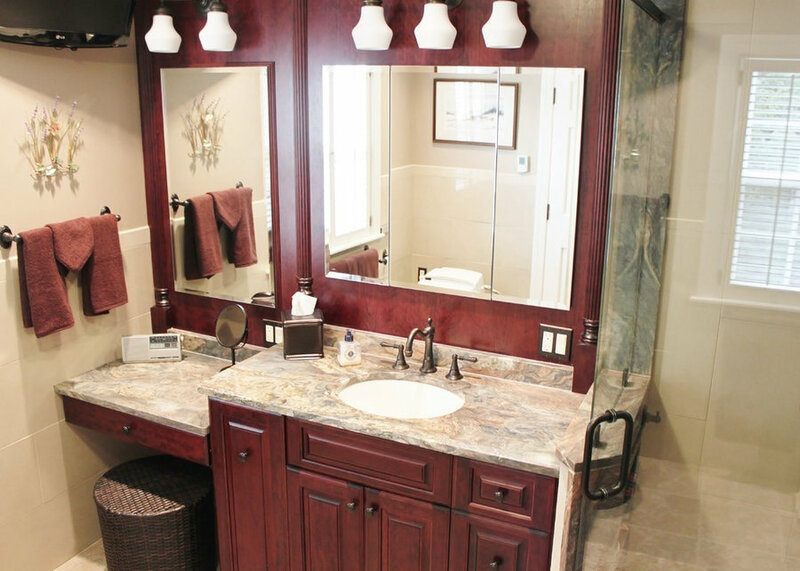 The bathroom is very unique due to the exotic fusion granite from Brazil. 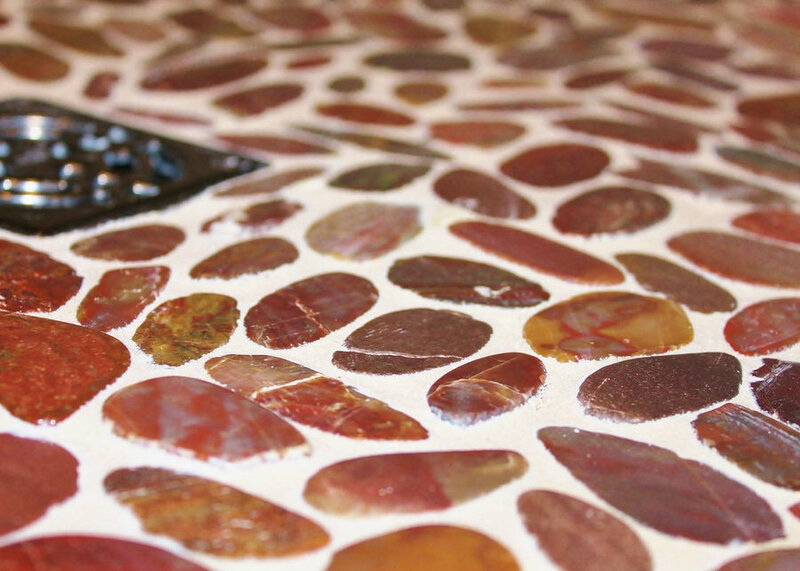 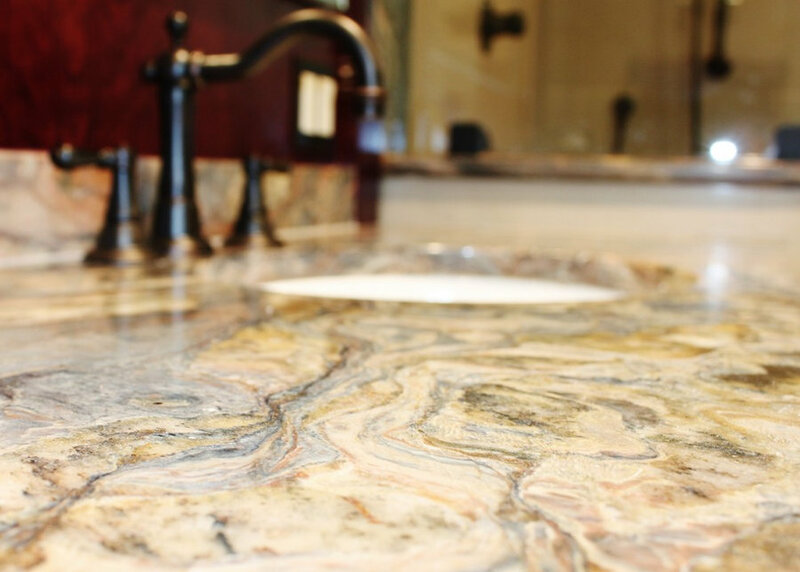 The countertop shows variations in both movement and color to become a true statement piece. 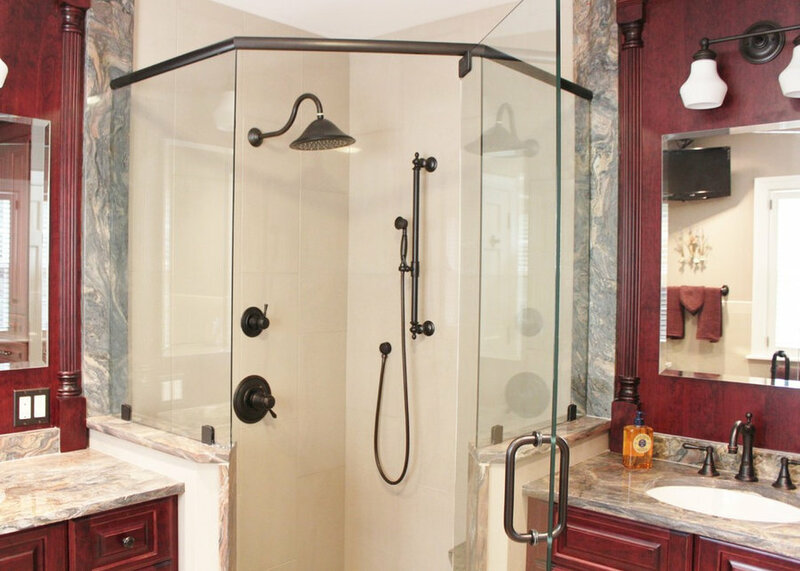 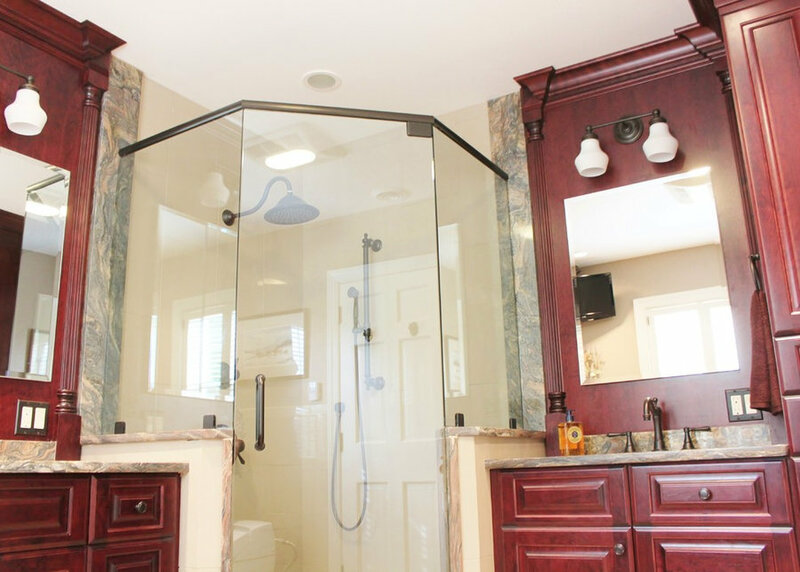 The bathroom has a custom neo-angle shower, anchored by custom cabinetry. 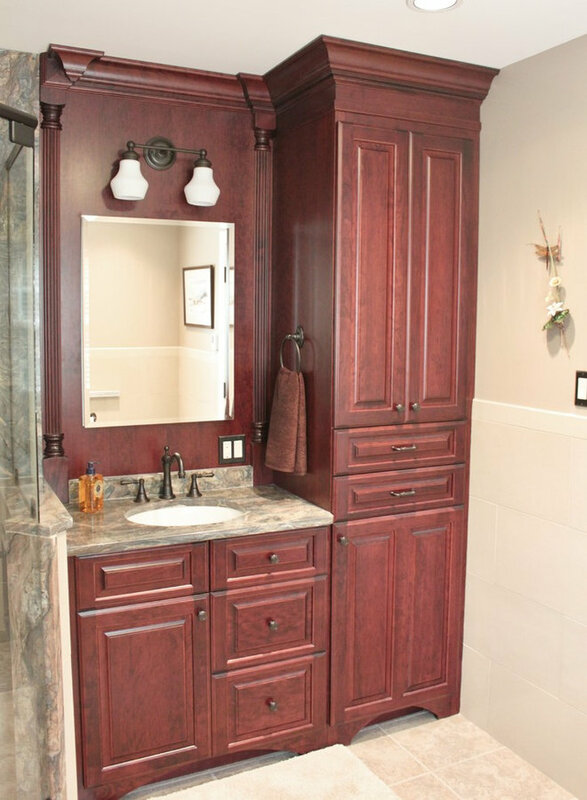 The custom cabinetry was used to accommodate two separate vanities, a makeup desk, and tower storage. 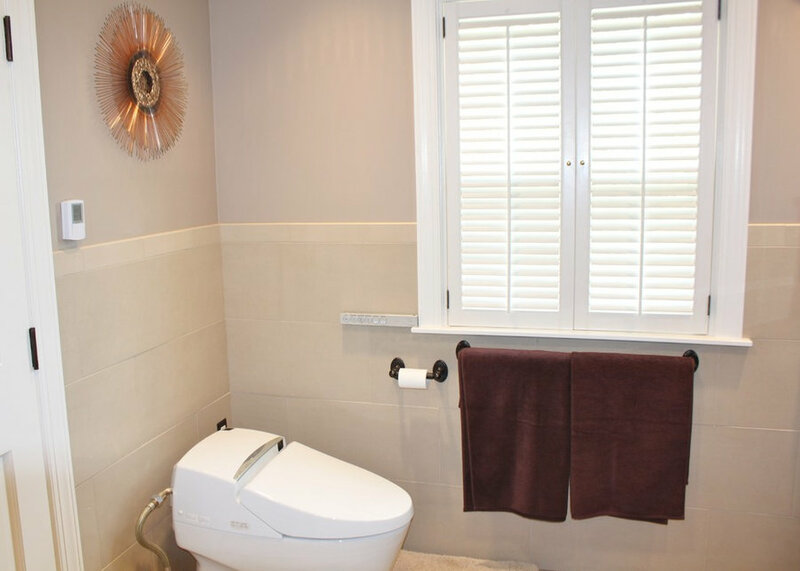 The room features a Toto neorest, to offer the peak of luxury. 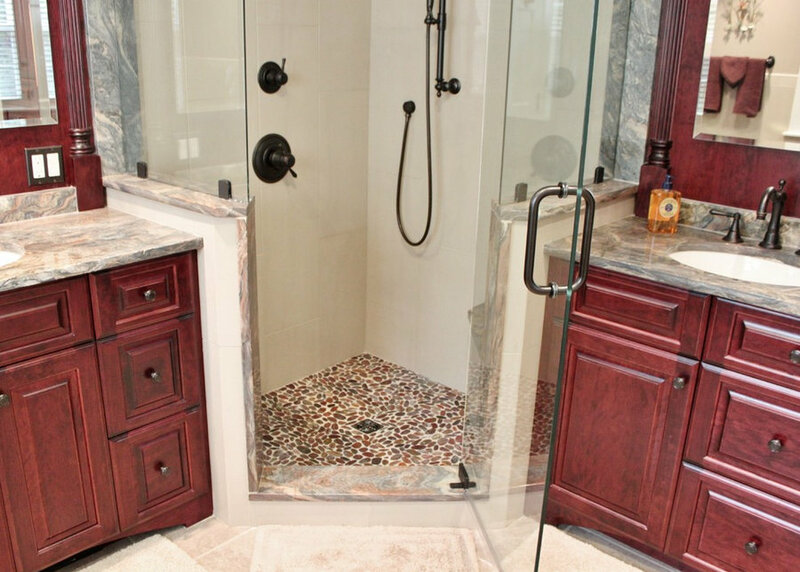 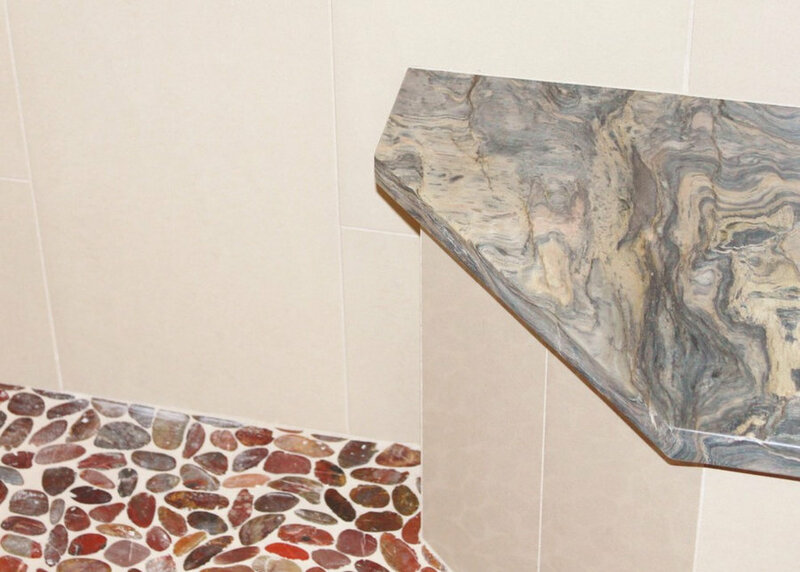 Porcelain tile surrounds the room and shower, with pebble flooring to accent the shower. 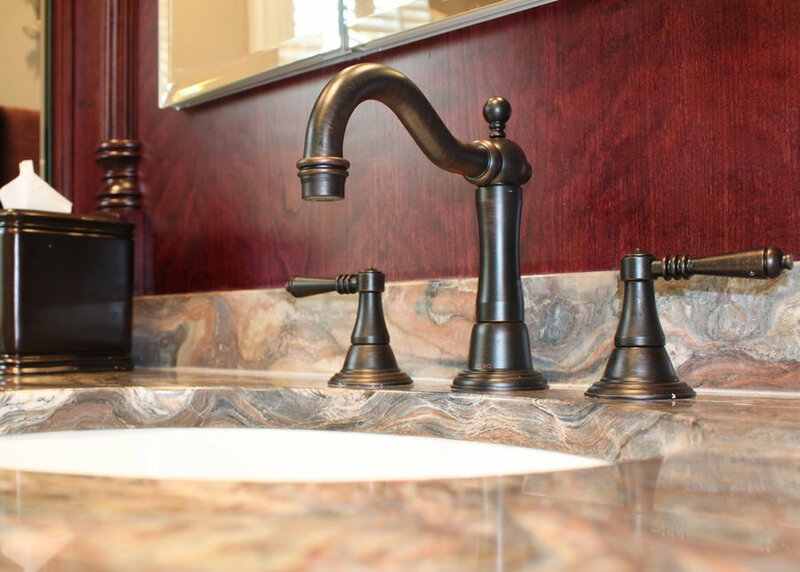 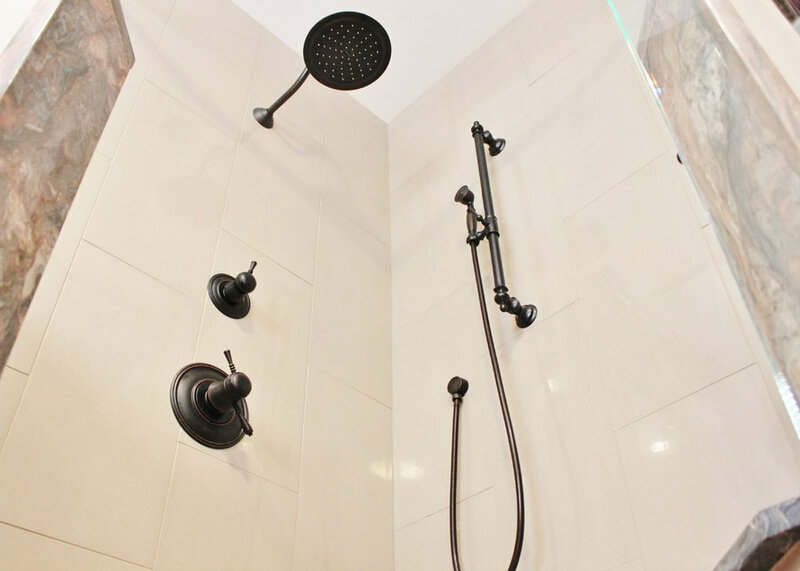 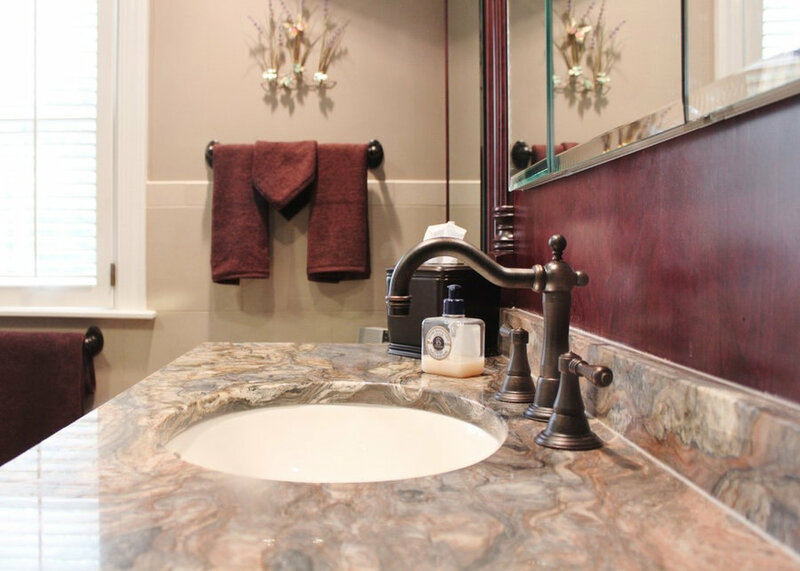 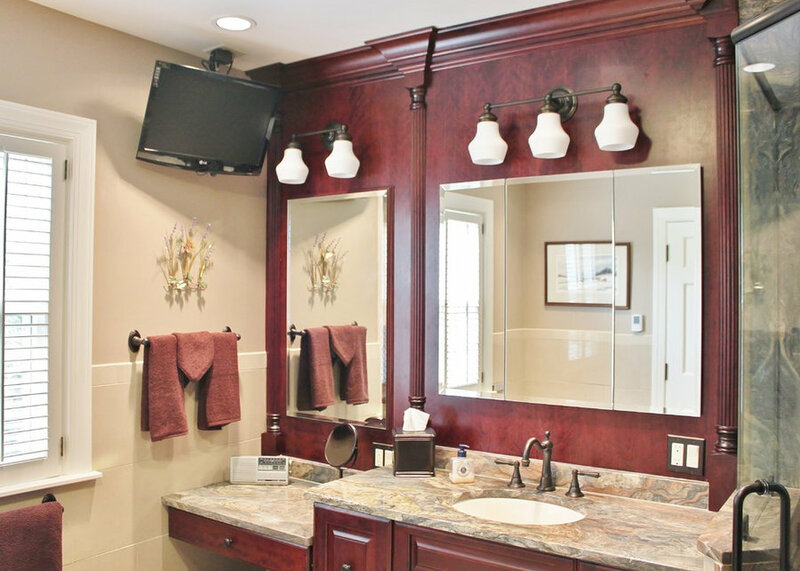 The room was completed with Brizo faucets, and Baldwin hardware. 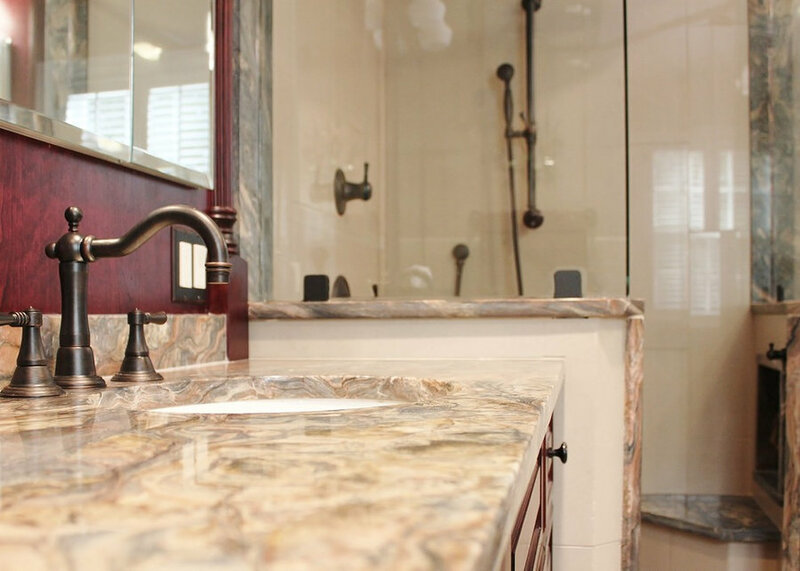 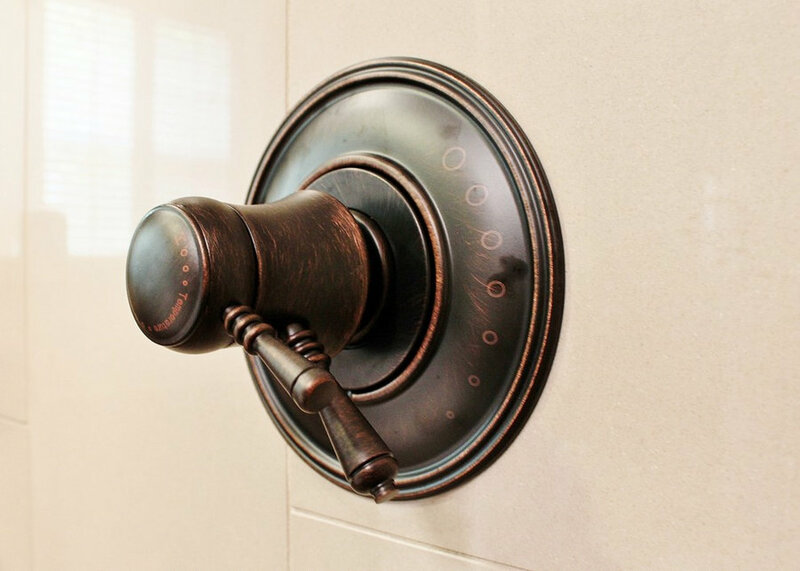 The color palette suggests a traditional, yet luxurious feel, perfect for our client’s home.